Land use law regulates comprehensive planning, zoning, and development of public and private real estate. A common form of land-use laws are zoning regulations, which are put in place by local municipalities and impact local property development. Zoning regulations are a function of the comprehensive planning process whereby municipal governments determine where particular zoning categories will be located in a community. 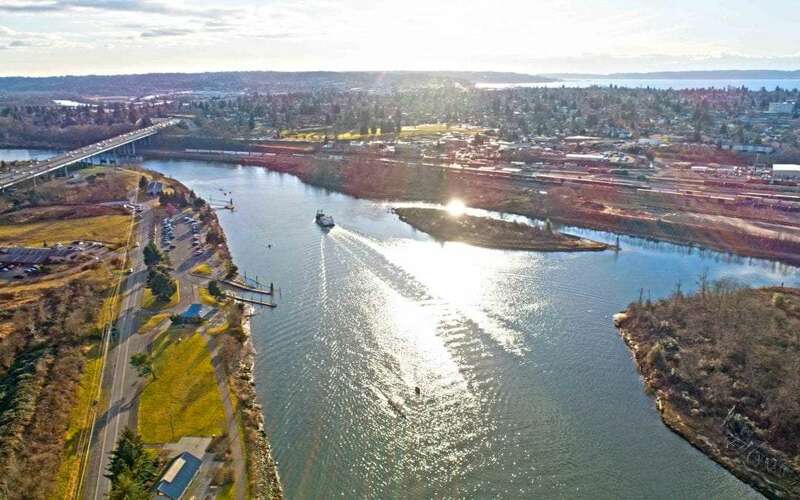 Other laws that fall under the land use category include building and grading regulations, shoreline management regulations, wetland regulations and State Environmental Policy Act regulations and eminent domain. Snohomish County land use and zoning information can be found on the Snohomish County Planning and Land Development Services website. The first step to understanding land use laws and municipal codes is to determine which impact your project directly. Next, if a land use application is required, you should fill out and submit the application. Once the application is reviewed, you will better understand if you can move forward with your project as planned or if your project is impacted by zoning laws or other land use codes. In the case that your project is impacted by land use laws and municipal codes in a manner that impedes development, it is valuable to contact your local county planning office, to gain more information on the matter. If, upon understanding the reason for which your application was denied or requires modification, you are still unsure about how to proceed, it may be advantageous to consult an attorney specializing in land use. The lawyer will gather all the information about your case and determine which regulations may affect your real estate, as well as your end goals. It is possible that your goals can be achieved and resolution found through a meeting with your lawyer, yourself and the municipality (the city or county in which your real estate is located). In the case that the scenario includes issues regarding a development and parties cannot come to an agreement in the initial meeting, the issue will then go through the dispute resolution process. This process involves a hearing examiner. In the case that the hearing process does not result in your favor, there is an appeal process called the land use petition process. The Land Use Petition Act (LUPA) is the path to superior court. Throughout this process, it is important that all parties involved are focused on the same issues. This may require involving a practical consulting engineer or city attorney involved, to help parties understand how a specific code is interpreted. Ultimately, it is important that you have realistic expectations in terms of outcomes. Your lawyer will help interpret land use laws and codes throughout the process, to help manage expectations. If you plan to develop a property within your city or county, it is in your favor to become a sophisticated consumer of legal affairs when it comes to land use law. Your local municipalities website is a great resource. The Municipal Resources and Services Center website is also a great place to start when trying to better understand local laws. Additionally, there are opportunities to provide feedback on new or changing public codes, such as zoning laws. Keep an eye out for workshops or public hearings held by your city. Are You Looking for an Attorney?